What a power pack combo Quinoa and Tofu. It is a perfect protein rich food and quite easy to do. 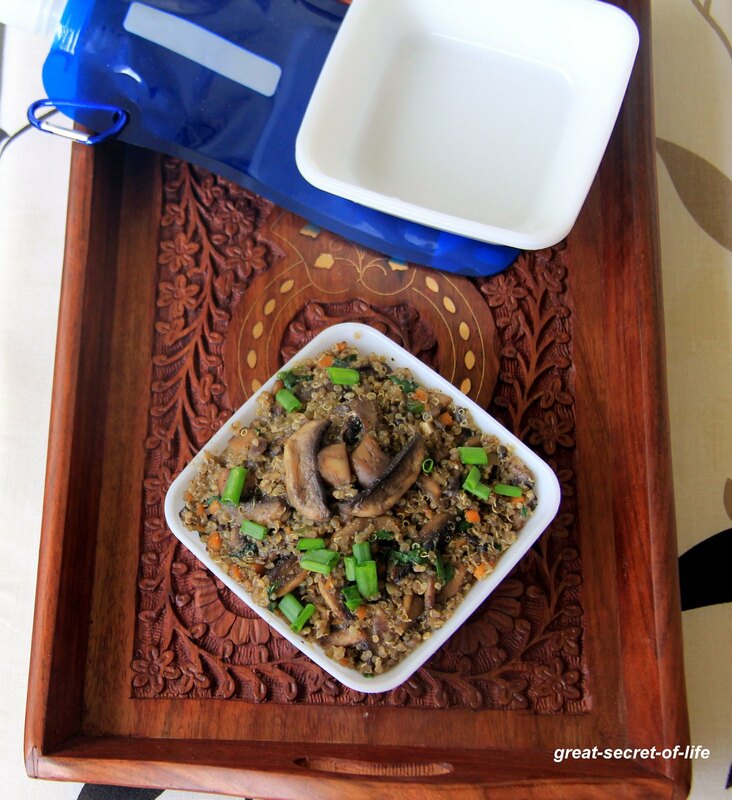 This is one of the quinoa dishes which is simple to do and perfect for lunch box. It is also a perfectly balanced food (with loads of vegetables and Tofu). Heat the pan / kadai. 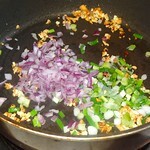 Add oil and add onion. Fry till onion is cooked. 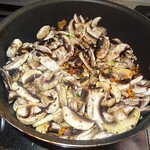 Add red pepper, chopped carrot, Mushroom and cook it. Add tofu and fry for 3-5 mins. 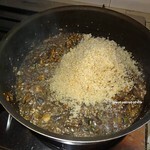 Add cooked Quinoa and fry for another min. 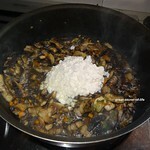 Add soy sauce, pepper powder. Mix well. 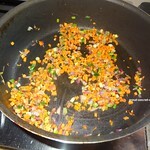 Add spring onion and fry for some more time. this sounds super healthy, filling and delicious..interesting quinoa recipe! 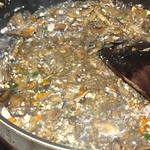 Wow.. really good.You have inserted mushrooms and tofu.High proteineous foods. 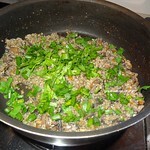 Thofu quinoa scramble looks delicious love it. 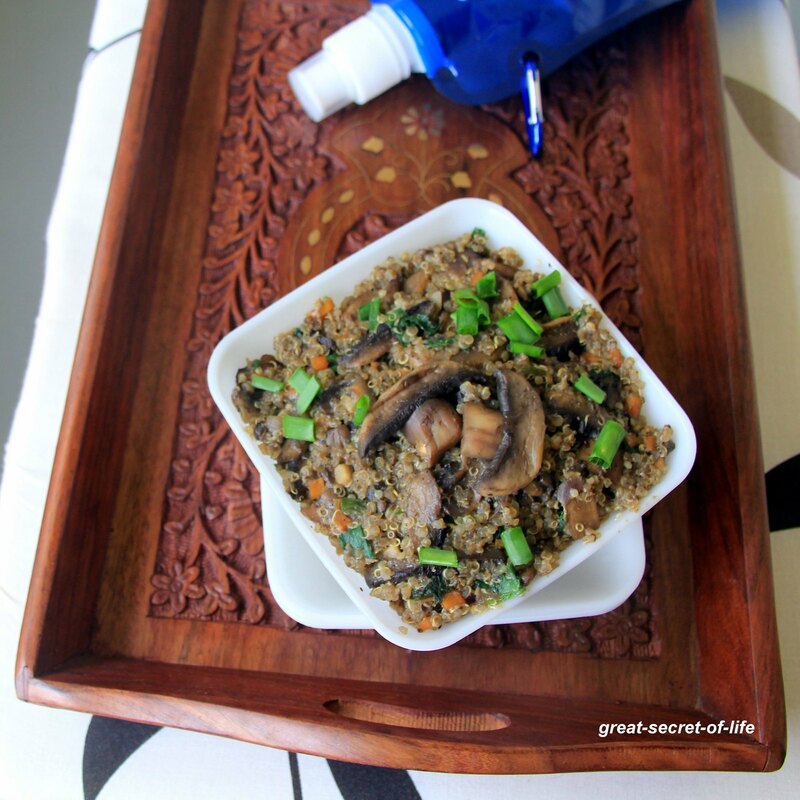 very very healthy and interesting recipe dear :) looks so inviting !! 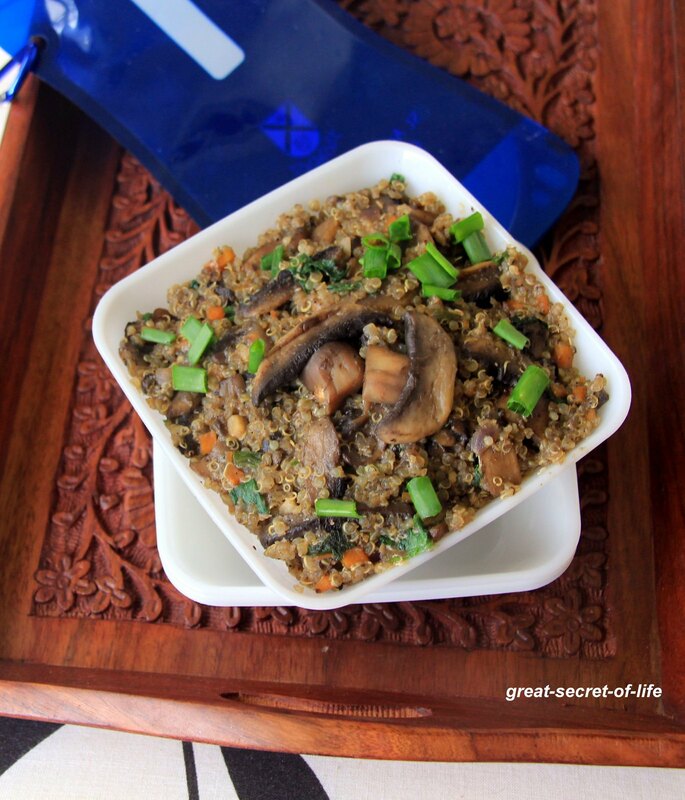 Tofu with quinoa and to top it up mushrooms. Wow. Loving the combination. such a healthy one pot meal for weight watchers, love it!!! Healthy one pot meal and sounds delicious too.